Gautham Menon is directing a film titled Accham Enbathu Madamaiyada which has Simbhu in the lead role. Pallavi Subash has been donning the female lead role. Now she has been sent out of the film. The shooting of the film which has Simbhu and Gautham Menon was taking place for a long time. This untitled film had Pallavi Subash in the female lead role. Meanwhile Gautham Menon started directing the film Yennai Arindhaal which had Ajith in the lead role. Gautham Menon had announced that he will take up Simbhu’s project once he completes Ajith’s film. Gautham Menon immediately commenced the shooting of Simbhu’s film. The film was titled Accham Enbathu Madamayada, At this juncture, actress Pallavi Subash was removed from the film. Pallavi Subash is a theatre artist who has been acting in numerous stage plays in North India. 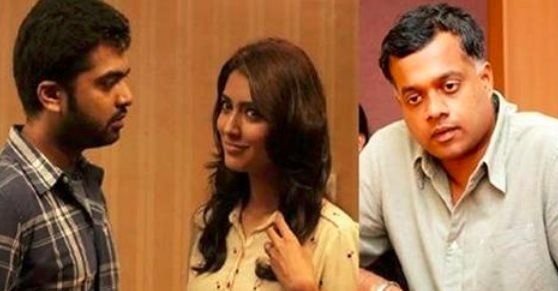 Her dates were wasted, when Gautham Menon was directing Yennai Arindhaal. It was not possible for her to allocate dates since she had already given dates to stage plays. In view of this, she was removed from the film. Now they are searching for a new heroine for this film. Who do you think the best pair to romance Simbu for 'Accham Enbathu Madamaiyada'?